I feel bad about this, but Shrink4Men Radio is taking a break this week. I’d hoped to pull together material for the show over the weekend, but decided to focus on some much needed R & R instead. 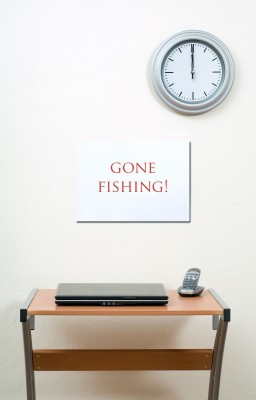 Instead of going actually going fishing (or my version of it), I’ll focus on publishing some new articles and the forum this week. Shrink4Men Radio will be back next week, Monday, October 24, 2011 at 9pm EST. I’ll announce the topic in a day or two. Trying to decide between a couple of topics. Dangit! I actually have the evening free, with no clients in sight! But have a restful week. You deserve it, Dr. T.
As Darth Vader said at the end of Episode III – NOOOOOOOOOOOOOOOOOO!!!! Seriously, Dr. T, thanks for all your hard work, and enjoy your much-deserved rest!